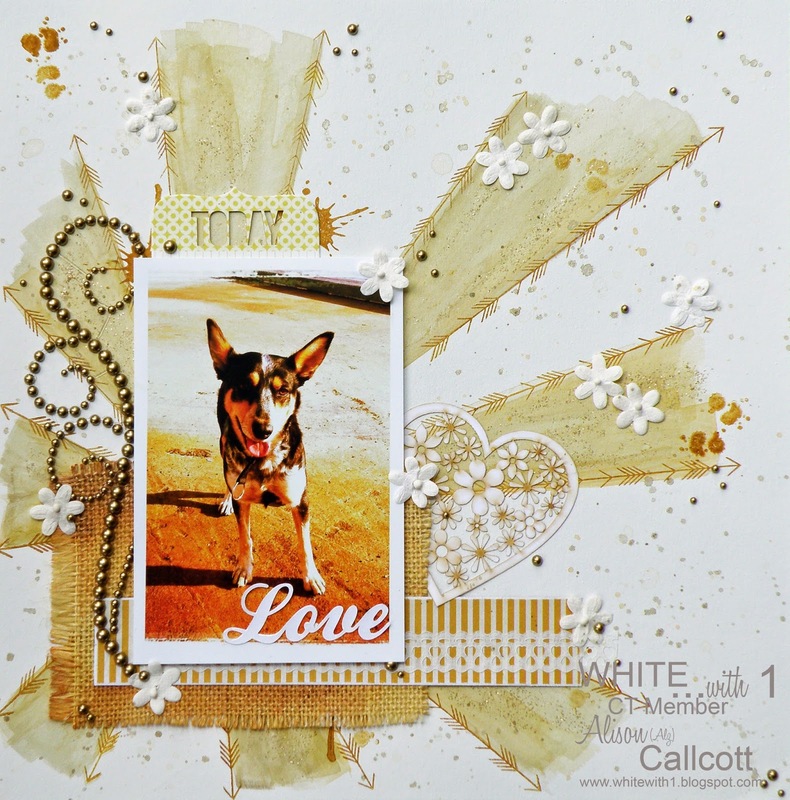 Anyways this month the challenge at White With 1 is to create a layout using gold. I thought this was going to be really tough because I don't see gold as a colour so much with loads of hues and tones. Not so. It was surprisingly easy once I got my head around it and, dare I say it, I'm tempted to work with white and other metallic colours to see what I end up with. 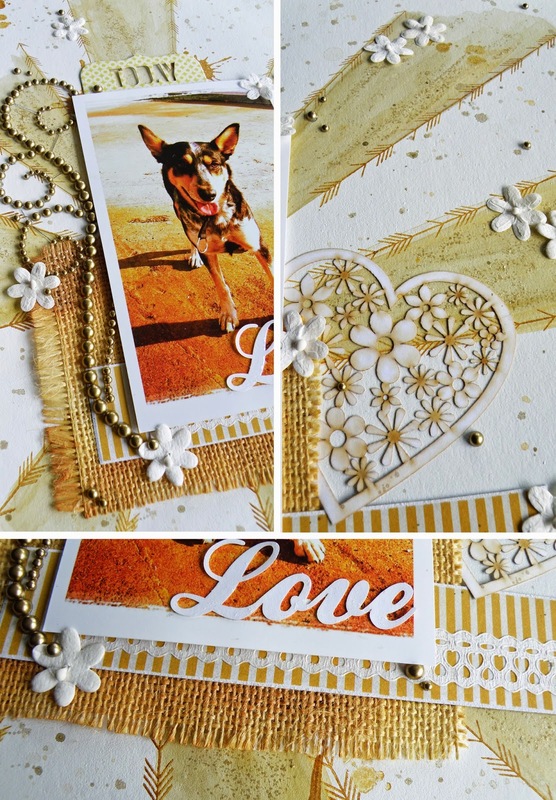 I was a bit taken aback by the products I received from Flourish With A Bling, the sponsor Susan Longman organised for us to work with this month. Not by the products themselves (they are stunning) but more so the colour. For some reason I was thinking glittery, sparkly gold, not antique gold and boy am I glad it was the latter we received!!! PS: Thanks again to our prize sponsors Flourish With A Bling, WOW, Scrapbook Divas and Mystical Scrapbooks. Your layout looks wonderful.. I love the gold FWAB you have used.. I have already started getting the gold things out of my stash to have a go at this challenge! and dont worry you are not the only person to freak out at how fast the year is going by!